There are tons of advantages to executive office suites and being the type of being that we are, we naturally discuss it on the blog. Learn more about the best executive office suites in Charlotte. 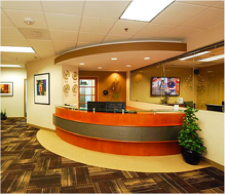 When you need space where you can get work done, consider our offices at YourOffice-Ballantyne. If you work from home, you may enjoy the freedom it offers but resent those times you need a more professional space but don’t want to pay for one year-round. Having a space to work is essential to any business, whether you’re a one-person operation or have an office full of employees. The right office configuration can facilitate success while a poor one can hinder your productivity. When you need the perfect space to meet with clients or confer with colleagues, YourOffice Ballantyne has a variety of meeting configurations for rent in S. Charlotte.